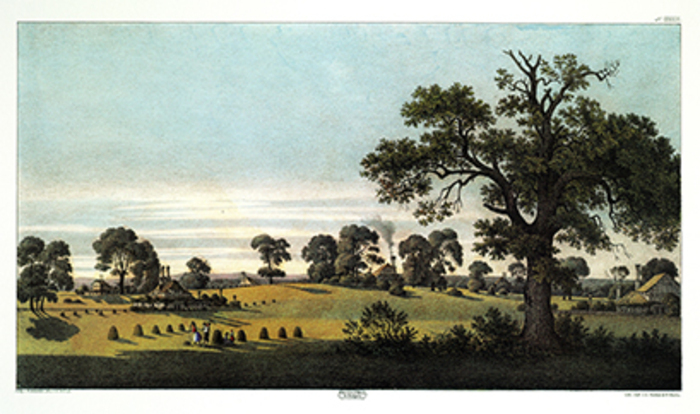 Prince Hermann Ludwig Heinrich von Pückler-Muskau, Atlas zu den Andeutungen über Landschaftsgärtnerei, or Atlas to Hints on Landscape Gardening, 1834, Stuttgart. 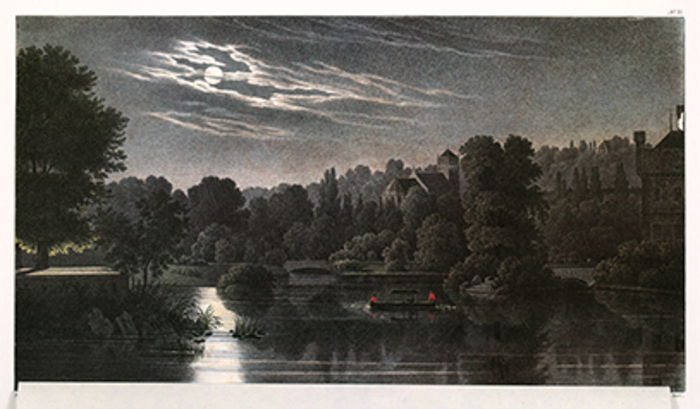 Courtesy of Foundation for Landscape Studies and Birkhauser. 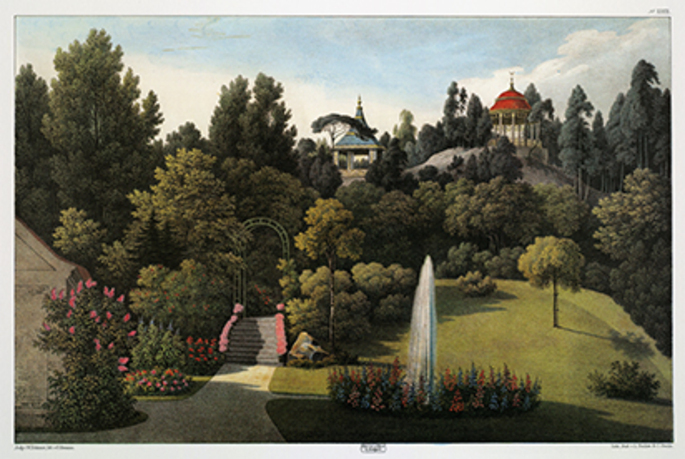 Known as the “Green Prince,” Hermann Ludwig Heinrich von Pückler-Muskau’s creation of the 1,383-acre Park Muskau on his estate straddling the Neisse River in Upper Lusatia, Germany between 1815 and 1844 made him in his time a garden designer of great renown. Park Muskau was admired by German contemporaries and later by American landscape architects including Frederick Law Olmsted. 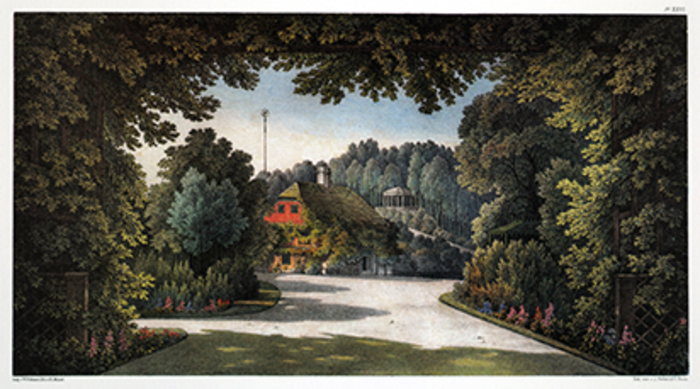 Pückler’s codification of his theories and principles in Hints on Landscape Gardening (Andeutungen über Landschaftsgärtnerei), published in 1834, remains a classic in the literature of landscape design. 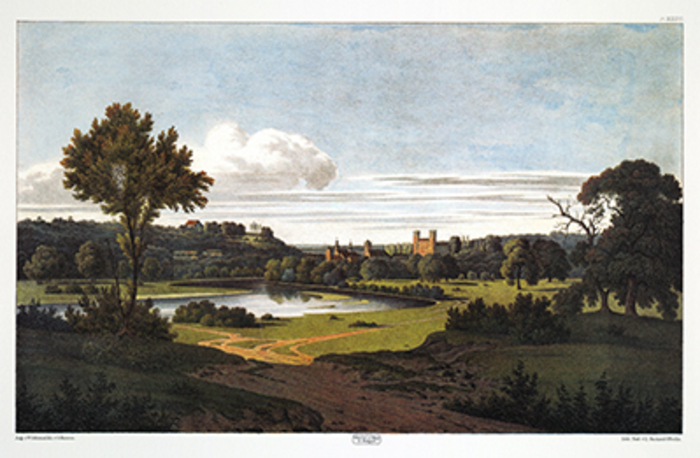 Illustrated with the original lithographs, this new English translation, published by Birkhauser as an imprint of the Foundation for Landscape Studies, is the first in a series of translations of important works by internationally recognized writers on landscape subjects. Elizabeth Barlow Rogers (BA Wellesley College, 1957; MCP Yale University, 1964), president of the Foundation for Landscape Studies and founding president of the Central Park Conservancy, is the author of several books, including Landscape Design: A Cultural and Architectural History (Harry N. Abrams Publishers, 2001) and Romantic Gardens: Nature, Art, and Landscape Design (David R. Godine Publishers, 2010) (both recipients of support from the Graham Foundation). Among other roles, she serves as editor-in-chief of the FLS Imprint Book Series. Linda Parshall (BA Northwestern University, 1966; MA Indiana University, 1968; PhD Queen Mary College, University of London, 1974) is an independent German landscape historian whose publications include a translation of C. C. L. Hirschfeld's Theory of Garden Art (University of Pennsylvania Press, 2001) and numerous scholarly articles. Among these are "C. C. L. Hirschfeld's Concept of the Garden in the German Enlightenment" (1993); "Motion and Emotion in C. C. L. Hirschfeld's Theory of Garden Art" (2003); "Landscape as History: Pueckler-Muskau, the 'Green Prince,'" (2004); and "Hirschfeld, Pueckler, Poe—The Literary Modeling of Nature" (2007). John Hargraves (BA Dartmouth College, 1966; PhD Yale University, 1993), a former professor of German at Yale University and Connecticut College, is an independent scholar of German literature and a translator whose publications include Music in the Works of Broch, Mann, and Kafka (Camden House, 2002). He has translated Dieter Schlesak's The Druggist of Auschwitz (Farrar, Straus, and Giroux, 2011); Michael Krueger's The Executor (Harcourt, 2008), which won the Helen and Kurt Wolff Translation Prize; Martin Geck's Bach: Life and Work (Harcourt, 2006); and various works of Hermann Broch, Elias Canetti, and Wolf Wondratschek. 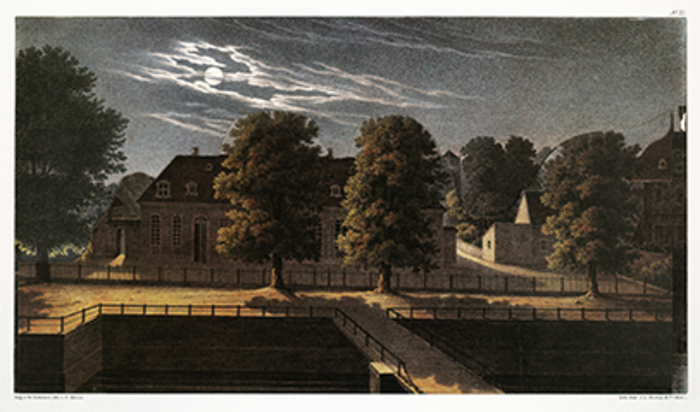 The Foundation for Landscape Studies was founded in 2005. Its mission is to promote an active understanding of the meaning of place in human life. It fulfills this mission by publishing the journal SiteLines and an imprint series of books relevant to landscape history scholarship. It awards grants to landscape scholars with publishing contracts and annual book prizes to authors of noteworthy books in the field of landscape studies. It provides electronic resources for landscape students and periodically organizes tours and exhibitions.